After seeing this gold Christmas banner, I decided I wanted to make a Happy Birthday version. I used templates to trace out my letters instead of drawing them out because I cannot draw for the life of me, so I decided I would include the directions along with the templates just in case anyone (as artistically challenged as me) wanted to make one for themselves. • Printer, printer paper, and template found here. 1. Print off the template letters (here). I first tried to print them out straight onto the gold cardstock but it wouldn't feed through my printer so I had to print them onto regular paper first. You may have better luck than me though, who knows. It definitely would be easier that way so it might be worth it to try. 4. 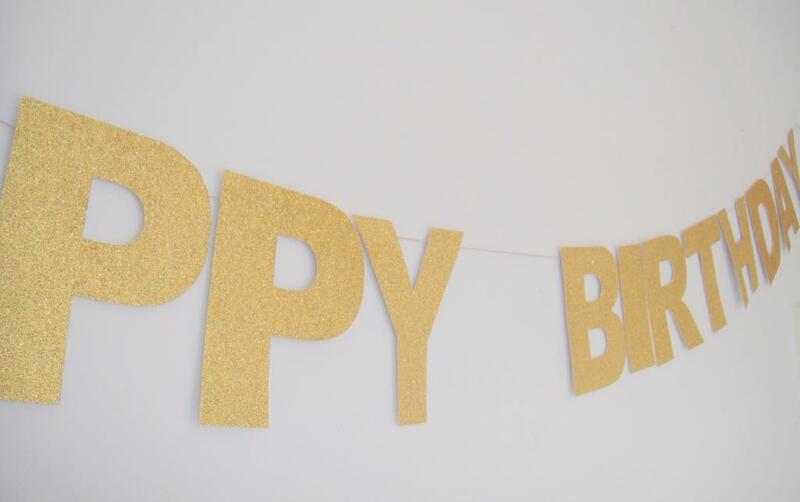 Untape the letters from the printer paper and rearrange them to spell "Happy Birthday". Now use the packaging tape to tape each of the letters onto the twine. 5. 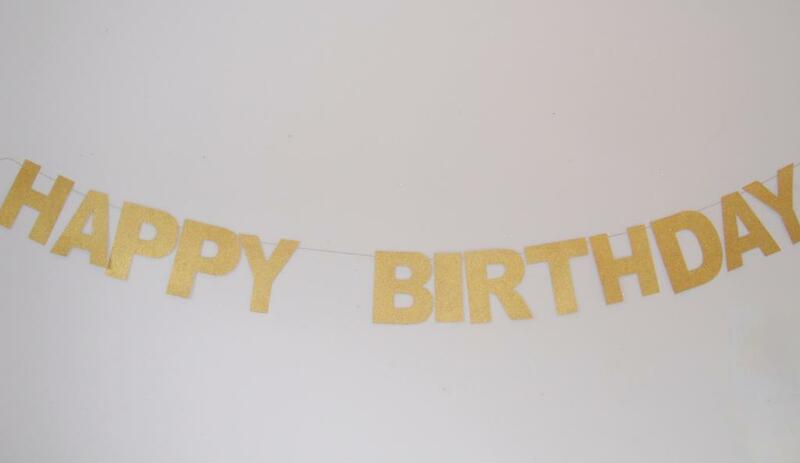 Hang up and celebrate whoever's birthday it is! I think this would be such a cute idea to send as part of a "Birthday in a Box" sort of thing. You could wrap it up in a cute bow and send it to someone as a far away birthday gift. That's what I was thinking I was going to do with this one, but there are like 5 people I'd want to send one to so let's be honest, that's probably not going to happen. haha oh well, still kind of a fun idea I think. 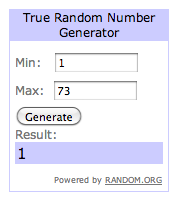 The winner of the Firmoo glasses giveaway via Random.org is..
(Can I just say that I'm pumped that you won by way? ha what are the odds?) Firmoo will be e-mailing you with the full details soon. Congratulations again girl! For the rest of you lovely people, I've been wanting to do more giveaways and tutorials on my blog so it's not all just for me (even though I know you just loove all the endless pictures of me and my sewing projects). haha for real though, are there any things you are wanting to learn how to make? 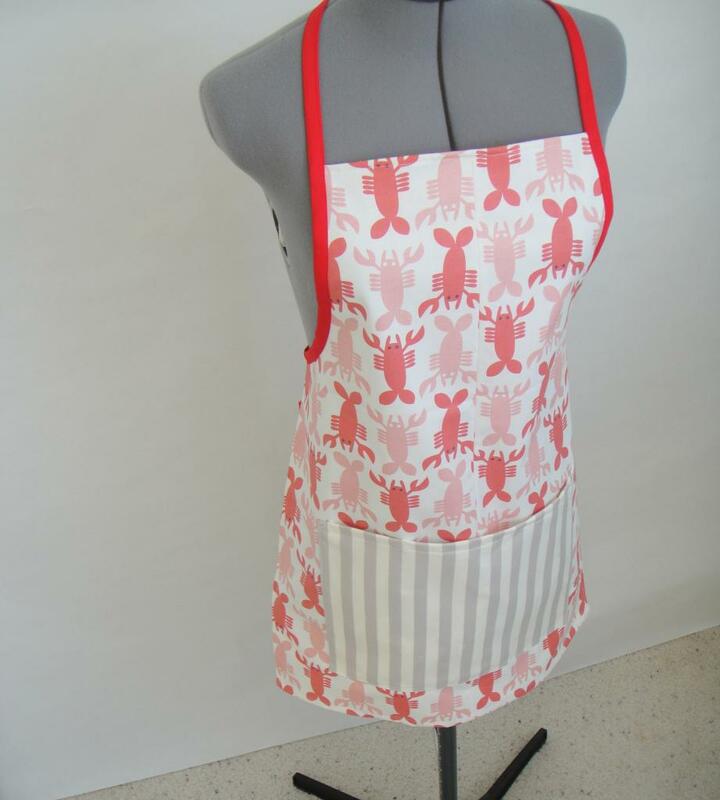 Skirts, aprons, specific sewing skills, it can be whatever! Let me know and I'll start posting some tutorials soon. I picked out these ones. Here's the full review if you're interested. k now let's get to the good stuff. One winner will receive a free pair of Firmoo glasses of their choice. 2. For a second entry, you can leave another comment telling me what the best part of your day was. I'm so nosy I know. haha I like hearing about people's days though for some reason. The giveaway will run until 11:59 PM on Thursday, January 24, 2013.The winner will have 48 hours to respond until another winner is drawn. Good luck! P.S. I am trying out a new blog layout/header/name so apologies for the awkward transitioning period. Hopefully within a few days everything will be worked out. Happy Thursday everyone! These really aren't a big deal but I loved the fabric so I'm posting anyways. 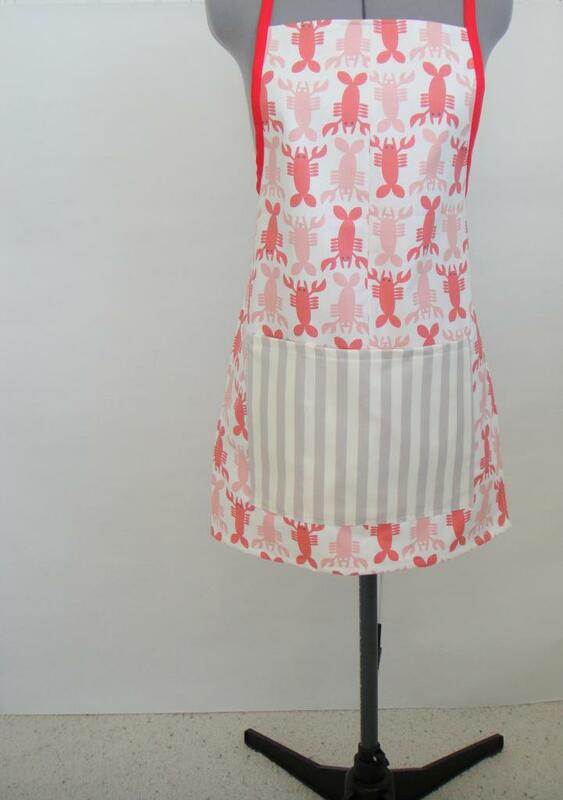 How cute are the little lobsters? ha I love them. Perfect for an apron, so I made two. I don't even know what I'm going to do with the other one but oh well, aprons are always useful I guess. I got the fabric from Pink Door Fabrics on Etsy. I also found some cute kitchen-related prints on Spoonflower as well. Like this one and this one and this one and this one. They're all only one-sided since it's screen printed fabric but that shouldn't be a problem if you just lined it. Or you don't even have to line it I guess, I just think it looks better. Anyways that's that. Now I feel like I need to go bake a cake or something!